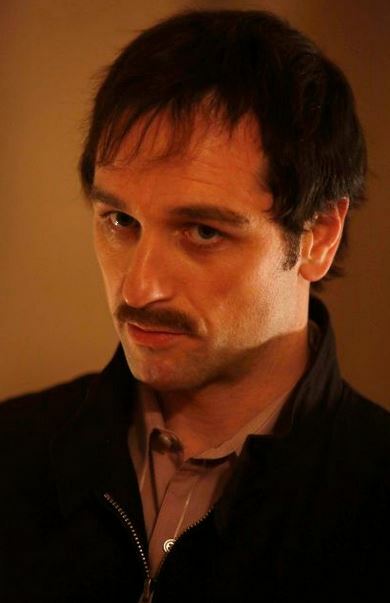 It may come as a surprise to some, but Matthew Rhys was indeed born and bred in Wales. Having spent five seasons on Brothers And Sisters alongside Sally Field, Rob Lowe and Calista Flockhart, the Cardiff native has managed to carve out quite the career both sides of the Atlantic. As the controversial and challenging Kevin, Rhys played a strong and divisive homosexual lawyer who was one of the most fascinating characters on the show. Since the conclusion of Brothers And Sisters, Rhys has had the opportunity to do a couple of popular BBC shows, including Death Comes To Pemberley. The Americans may well be another ‘period drama’, but it’s far removed from anything Dickens or PD James ever came up with. Rhys is joined by well-known American actress Keri Russell, winner of a Golden Globe for the lead in JJ Abrams’ first TV show Felicity, and star of such movies as Mission Impossible III and Dark Skies. What’s It About? The Americans is set in the Cold War period in the 1980s. Rhys takes the role of Philip Jennings (aka Mischa), a KGB agent who poses as a happy American family man alongside his wife Elizabeth (aka Nadezhda, played by Russell). At the core, the show focuses on the relationship between the two and how they juggle not only their jobs, but the challenging undercover situation and the relations with their children and outsiders. The show looks to illustrate a balance between their actions in the War and the ‘fictional’ marriage between the two, and how the lines are blurred as time goes on. The Jennings struggle to give a genuine and believable upbringing to their two children Paige (Holly Taylor) and Henry (Keidrich Sellati), both of whom are ignorant to what their parents get up to after dark, while serving the interests of the Soviet Union by taking down the United States from the inside. Verdict: What The Americans does so well is indeed what the Jennings family struggles at – juggling all the different pieces. What could become a convoluted mess actually never veers into over-complication, instead creator Joe Weisberg really knows his characters inside and out, as well as the situations they’re going through. The Americans has the feel of precision and planning which many shows simply don’t. Whether the case or not, it never seems like it’s being made up as it goes along, instead always giving the audience a tight-knit journey that accelerates and slows down at just the right points. There are moments of adrenaline-filled excitement and those which are more heartfelt and touching, both of which contribute to the overall success of the show. Without the genuine empathy and emotional development of Philip and Elizabeth, it wouldn’t work nearly as well as it does. Rhys and Russell step out of their comfort zones here, taking on characters unfamiliar to them, and both excel at capturing the essence of what it means to not only be a spy, but also a human being. 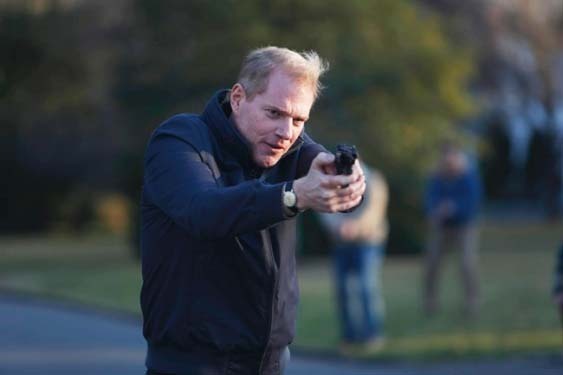 As exceptional as the leads are, the supporting cast also deliver strong performances, especially Noah Emmerich as their neighbour Stan Beeman who is an FBI agent, but again someone who isn’t simply a guy with a gun. Beeman, much like the Jennings, gets the chance to have a more human side and we see that develop throughout the series. Annet Mahendru, Susan Misner and Alison Wright also add to the overall quality of The Americans, and there is rarely a weak link in any episode. The writing from Weisberg, as well as Joel Fields and others, is top notch and captures the dramatic and the comedic in equal measure, making sure the episodes do not drag or fall into any traps with the usual spy clichés. It’s a tough job to deliver a strong overall season in a complicated genre without losing pace, yet the team behind The Americans manage to pull it out of the bag and give the audience one of the best first seasons of any show over the past few years. Extras: Deleted scenes, a commentary, a couple of featurettes and a gag reel give a nice look into the making of the show, the research involved, and the working relationship between cast and crew. Just enough for the extra-curious fan out there. Final Words: The quality of television these days can be absolutely exceptional. From Breaking Bad and Game of Thrones to Hannibal and True Detective, the scripts and acting talent are getting bigger and better every year. The Americans may not have that obvious star power on screen, but what it lacks in A-list stars is instantly made up by career-best performances from Rhys and Russell. Joe Weisberg has put together a fantastic all-round show that captures the imagination, makes you smile, and hits you right in the heart when you least expect it. The best shows manage to be believable and relatable in the most unusual of circumstances, and that’s exactly what The Americans does. We cannot wait for Season 2! The Americans Season 1 is out on Blu-ray & DVD on 3 March 2014.